An unexpected material choice on this retro. 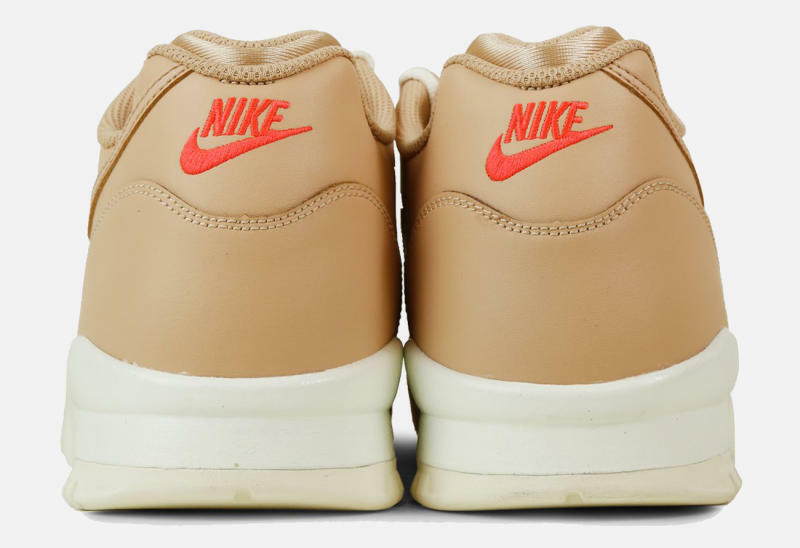 The techy Nike Air Trainer 2 has something of a lifestyle look on this new colorway, which wears the sort of tan leather that's been in vogue lately on retros from Nike Sportswear. 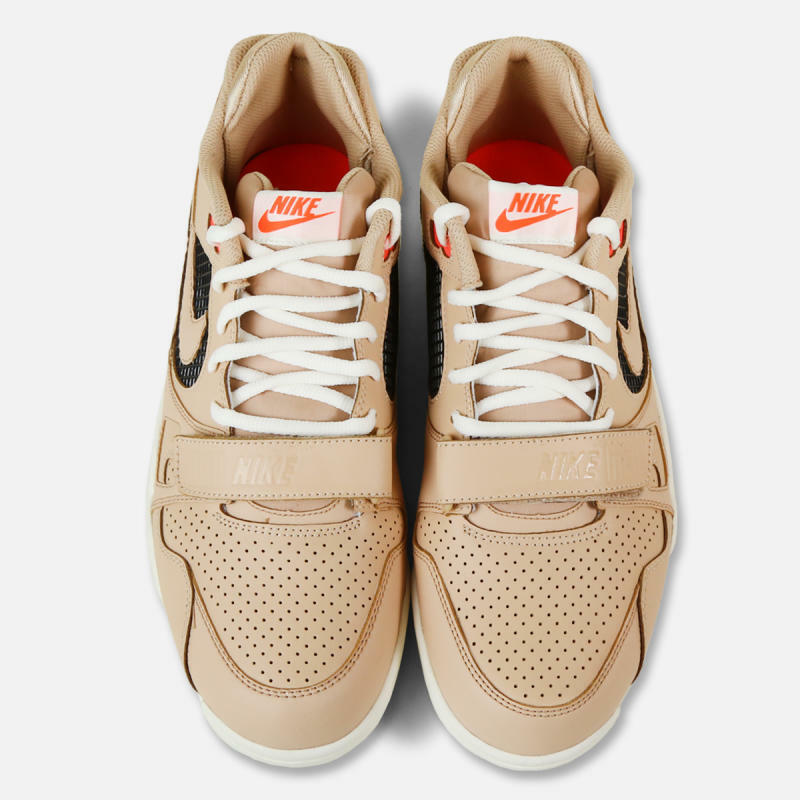 This seems to be more an approximation of the vachetta leather aesthetic than a use of actual vachetta leather, meaning that these aren't wildly expensive like, say, the Jordan 1s wearing the premium material. Other details include bright red embroidery and off-white for the soles. This retro release is available now at retailers like Villa for $110.